Some serious news coming in from New Jersey, as reports of a perpetrator sneaking through gardens and causing havoc in the local area are concerning worried residents. Police are urging people in the area to be extra vigilant for intruders, and to keep their eyes out for trespassers. Police were on the suspect’s tail, but apparently they managed to avoid capture for some time thanks to their unbearable cuteness, overpowering the authorities. The suspect is described as approximately two feet tall, weighing around 20 pounds, having a smushy little face and being just totally adorable. Thankfully, the four-legged fiend was taken into custody just before everybody’s hearts literally melted at the sight of the furry little fella. Residents in the area were obviously concerned, as the police’s post was shared by almost 10,000 people. Police have now reprimanded the offender and, having offered nothing more than heavy panting, drooling and a few short barks during questioning, the suspect was put behind bars. Amazingly, a worried citizen came forward and accepted responsibility for the pupper-trator, and she was released on bail shortly afterwards. 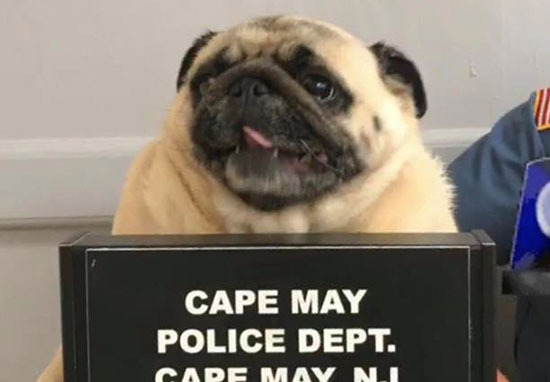 The suspect was later identified as Bean – a pug who, according to sources, paid her bail in cookies. Apparently Bean, the Pug, paid her bail in cookies! 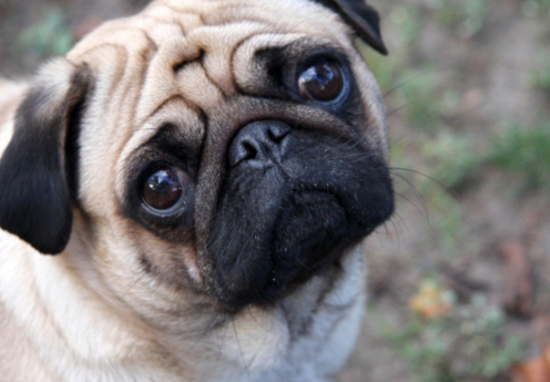 Residents can now breathe a sigh of relief as their back yards are no longer subject to the threat of terror Bean the pug was holding over them. It’s not been confirmed how the pug got hold of, or paid for the cookies, but I don’t think anyone really knows what dogs are capable of these days. Bentley, a 12-year-old Maltese pup, affectionally known as Benny, goes everywhere with the Leach family, and so went on a journey from Texas to see family members in Fort Lauderdale, Florida. My parents took our dog on a road trip and he got to stop in every state to mark his journey!! He was also pretty happy to make it home. He’s a world traveler! For his birthday, he wanted to go to the Alamo!! 21-year-old Lexee, from Colleyville, Texas told UNILAD, since the death of their other dog Max in October 2017, Benny and the Leach family are just inseparable. My family adores him and treats him like another sibling. My parents take him everywhere in his little doggy bag and everyone just loves him. We’ve always been obsessed with our puppies. You’re not the only one Lexee!